Advances in technology have given rise to a new type of worker: the telecommuter. Like a ghost, this individual appears seemingly out of nowhere in times of panic or need. They show their faces during video conferences and post relentlessly in the company Slack channels only to disappear back into the ether. Ever watchful you know the telecommuter is there when you need them, always vigilant and a testament to efficiency. Jokes aside, plenty of large companies have successfully introduced telecommuting programs in some fashion. I personally work with several remote freelancers, from graphic designers, web developers, to content writers. It’s a relationship many companies have benefited from in the new gig economy. From Amazon and American Express to Dell and Humana, they all have a portion of their teams doing work away from the office. Telecommuting might be brand new to your team, even if your business is well past the startup stage. For many of these companies, telecommuting is a cost effective job perk used to recruit top level talent from around the world. Whatever you call it, remote work, telework, or telecommuting, the demand for the convenience of working from home is growing. Flextime or flexible work schedules are also gaining popularity as workforces drum up new ways to meet current business and economic climates. There’s no doubt the way we work is changing. In this article we’ll talk about the 5 tips to help build a successful telecommuting program for your company. There’s a reason why HR professionals say that virtual companies have to hire differently for remote culture. Not everyone is suited to self-directed work days. The novelty of working in your pajamas can wear off quickly. 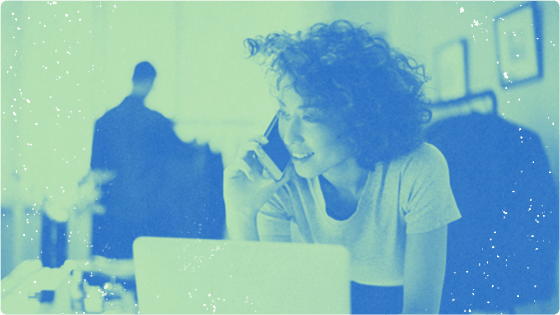 Chances are, your hiring team already looks for some of those qualities that make people suited for remote work for example, being a self-starter. We bet “requires constant supervision” isn’t something your company looks for in a candidate…even if the company currently has a strict, office-bound culture. If you already hire independent, self-motivated team members, you’re well-positioned to introduce telecommuting options. When people talk about hiring for a remote culture, they’re concerned with how someone socializes. It requires a specific type of personality to work remotely and integrate into the social company culture. Building personal connections amongst remote employees is an issue for companies that are 100 percent virtual (like Buffer or Zapier). A sense of pervasive isolation can plague remote workers, so you need to hire people who are comfortable working alone, all the time. This brings us to our second point. Most established businesses aren’t looking to tear up their lease completely. There is a difference between introducing remote work options and becoming a completely virtual company. If you abandon the office, you may very well see some employee churn. As mentioned above, not every person—or position—is suited to remote work. To address this, American Express conducts an employee survey to categorise team members as either “home,” “roam,” “club,” or “hub.” This then determines their telecommuting options. Though this designation is primarily determined by role requirements, the company also tries to take personal preference into account. Clearly, a telecommuting program need not be uniform across every department. In fact, guidelines may even vary within departments. “There are many shades of grey when it comes to flexible work options,” Sara Sutton Fell, CEO of FlexJobs, says. “Try to find a balance between what your company needs to thrive and what employees need to be happy and productive.” But do beware: if you give one team a major perk like telecommuting, you’ll need to offer something comparable to other departments. Fortunately, flexible work options abound. A pilot program, in which only one department experiments with telecommuting, will allow you to see what works and what doesn’t in your policy. It can serve as a sort of ‘trial period’ before you roll out remote options to the company at large. Some teams are better adapted to telecommuting, simply due to the nature of their work. It may be easier to let engineers stay at home than the entire customer service team, for example. Set the program up for success by starting with the easiest implementation—then use what you’ve learned to tweak it for other departments. Our best advice? Make sure to establish clear guidelines for each team. Are any days off limits for certain departments or roles? When do people need to be available, either by phone or email? What meetings can someone Skype in for, and when is it better (or, mandatory) to be there in-person? If you do end up granting remote permission to certain teams consider giving alternative perks to the teams who can’t work from home like more flexible work hours. As of right now, studies and experts are split on whether or not telecommuting improves job satisfaction and productivity. On one hand, some studies have found that job satisfaction is high amongst workers who telecommute a few days a week. On the other, workers who depend on other team members frequently report a decrease in productivity when telecommuting. In other words, whether or not telecommuting is suitable depends on your role and job function. By setting up a testing period and recording the results you can learn what rules and policies can be applied to other departments. Experimentation, for better or worse, is a necessary part of introducing remote work. Let’s talk about emails. How many times do people go back and forth before they understand the parameters of a project? How often does an email chain end with a call to book a meeting, get together, and hash some questions out? Many people have problems expressing themselves through the written word, and that can lead to misunderstandings, hurt feelings, and plenty of wasted time. But when you’re telecommuting, you often rely on emails or instant messages to get the point across. Video conferences are just not practical for every little conversation over the course of the day. Because of that, telecommuters must have strong written communication skills. No one expects poetry, but a clear, detailed message is harder for some people to craft than you might expect. Before rolling out a telecommuting program, make sure team members understand that they need to take special care in crafting written communications. One interesting experiment we suggest is to hold your next brainstorming session or meeting over Slack, even if everyone is in the office. The temptation to speak will be strong—especially for the weaker writers on your team—and that frustration is exactly what you want. After a few wires cross, people will realise how hard it can be to convey an idea over instant message. They’ll learn to choose their words more carefully. Managers have one major concern when it comes to telecommuting: the inability to supervise their team. It is a valid concern but one needs to realize their employees aren’t children. They can be trusted to work hard, even if you can’t watch them like a hawk. Even if an employee is in the office at their desk, who’s to say they aren’t online shopping or going on Facebook all day? Introducing a telecommuting program signals trust in the team and its members. But that’s all undone the second you install a tool to track mouse activity or ask people to fill in a detailed log of their time, so don’t. It’s easy enough to tell whether your people are working hard at home—a drop in output will be pretty noticeable. The key factor here being clear and measurable team goals or key performance indicators. A customer support rep can be measured by the number of support tickets they respond to. A marketer can be held accountable for the number of leads they bring in each month. 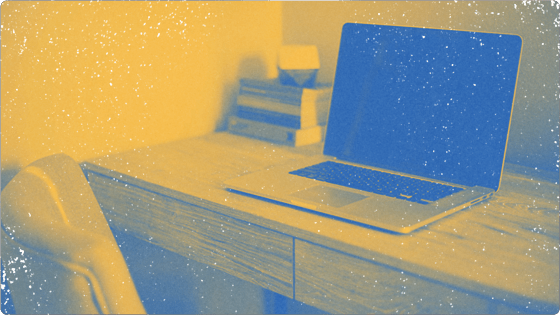 Once your telecommuting program is off and rolling you’ll probably find that they get more done: research suggests remote work makes employees extra productive. That’s probably because telecommuters can optimize their individual work conditions, facilitating concentration and creativity. Logging how they spend each hour away from the office? That’ll only interrupt their workflow. We’re all adults. Let’s do away with surveillance techniques and trust our people to do what we hired them to do—at least until they give us a reason to think otherwise. Young, trendy startups no longer have the corner on cool remote cultures. As it turns out, a telecommuting program is more than practical for older businesses too. You don’t need to go completely virtual to see employee engagement and productivity increase—and maybe that’s best. Remember telecommuting is a privilege. Waking up at home already at work is a privilege. If employee output begins to decline you’ll know something needs to be tweaked. Some people will go stir crazy after just a few hours of working at home. But for team members who crave a little solitude and less of a commute time, remote work days will provide a welcome respite. Are you trying to improve employee satisfaction and engagement in the workplace? Then you need the best tools for the job. Request a demo to see how the all-in-one Rise platform can help you grow your business.